Andrea's career in complementary therapies began after training as a Reflexologist and Massage Therapist in 1999. After a few years working in a busy clinic in Chiswick she saw the powerful ability of alternative therapies to heal and improve the overall wellbeing of her patients. Andrea wanted to increase her knowledge and deepen the understanding of the mechanism behind disease and how to treat it. This led her towards Traditional Chinese Medicines (TCM), the concept of qi/energy and how it considers not only the presenting condition but fits all other symptoms, signs and bodily functions together into a holistic pattern so as to understand the disharmony and treat accordingly. Andrea's belief in this approach to healing led her to study TCM: Acupuncture at the University of Westminster where she gained a First Class Bachelor of Science degree in 2006. She now uses a combination of these therapies tailored to best treat individual needs and conditions. She carries out a Chinese Medicine diagnosis and treatment plan with acupuncture, but supplement it with reflexology techniques and/or massage depending on the diagnosis. 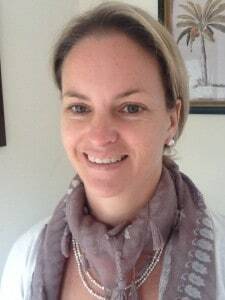 Andrea finds this is an effective way of encouraging the body to heal and function optimally and most conditions respond well whilst musculoskeletal and pain conditions, such as headaches, respond quickly to these techniques.